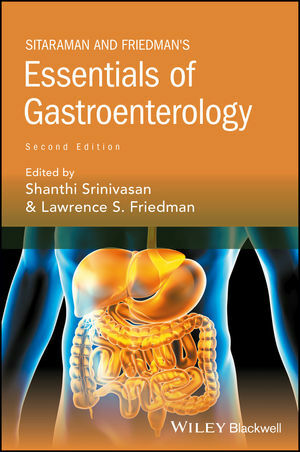 The revised second edition of Essentials of Gastroenterology provides a highly practical and concise guide to gastroenterology. The text covers every major disorder likely to be encountered during both GI training and in clinical practice. It also offers a handbook for preparing for Board examinations (e.g., USMLE and Internal Medicine Board examinations) as well as a handy clinical consultation tool. Fully updated to reflect the latest scientific information and practice guidelines, each section of the book covers a specific area of the gastroenterology tract and follows a standard outline: general information, normal physiology, etiology and pathophysiology, clinical presentation, diagnosis, differential diagnosis, complications, prognosis, and treatment. Designed for us by gastroenterologists and GI trainees, Essentials of Gastroenterology is therevised and improved edition of the popular manual that is filled with up-to-date information on all the GI disorders. Trainees will learn the essentials of their specialty, as well as providing the seasoned gastroenterologist with a useful refresher tool. Shanthi Srinivasan, MD, is a Professor of Medicine in the Division of Digestive Diseases at Emory University School of Medicine in Atlanta and the Chief of Gastroenterology at the Atlanta Veterans Affairs Medical Center in Atlanta, Georgia, USA. Lawrence S. Friedman, MD, is the Anton R. Fried, MD, Chair of the Department of Medicine at Newton-Wellesley Hospital in Newton and Professor of Medicine at Harvard Medical School and Tufts University School of Medicine and Assistant Chief of Medicine at Massachusetts General Hospital in Boston, Massachusetts, USA.